Unfortunately for PlayStation 4 fans, we’ve had to wait to get our hands on the Fallout 76 B.E.T.A. (It was first made available to Xbox One players.) But the wait is almost over, as starting on October 30, 2018 the B.E.T.A will be open to everyone. Below is the tentative schedule for the rest of the Fallout 76 B.E.T.A, according to the official Bethesda Game Studios Twitter account. 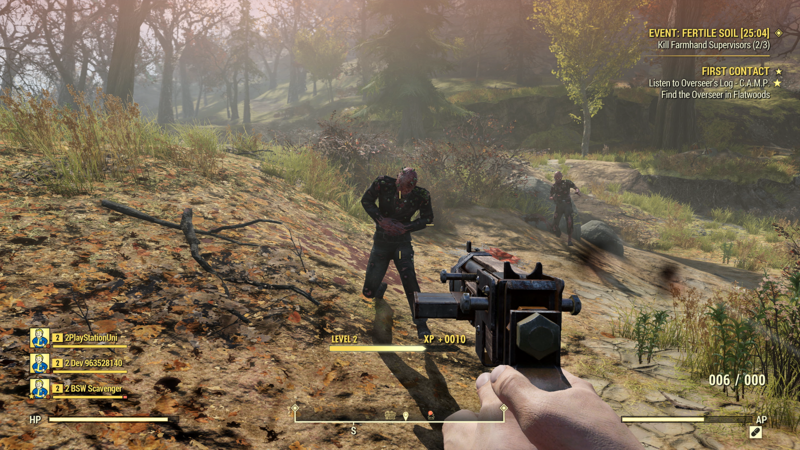 Remember, the B.E.T.A is only available to those who’ve preordered Fallout 76. As the #Fallout76 B.E.T.A. becomes available for everyone on Oct. 30, we wanted to look ahead to next week’s anticipated sessions. With the game set to release November 14, 2018 for the PlayStation 4, Xbox One, and PC hopefully that starting line is more of a 100-meter dash than a marathon.